Provides nutritional support to improve circulation in the inner ear. This product has been manufactured and packaged in strict conformance with industry & government standards. Tinnitus (as ringing in the ears) can be a symptom of Meniere’s syndrome, which couples this ringing sensation with loss of balance and other symptoms. 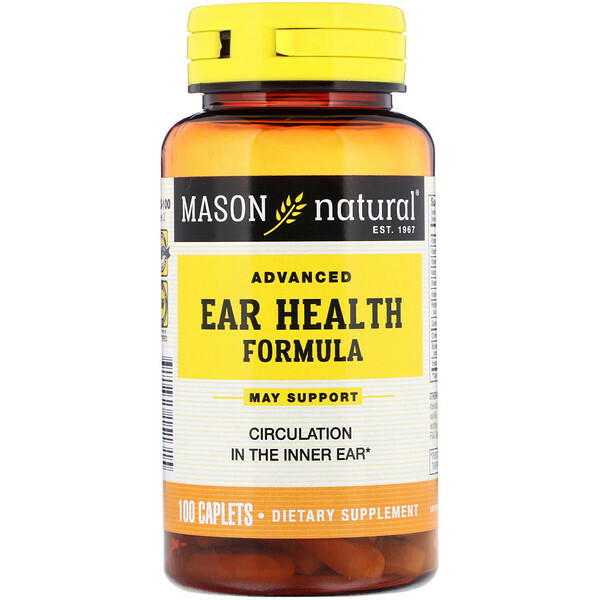 Mason’s Ear Health formula contains vitamin and minerals that are specifically combined to improve circulation in the inner ear. It may help to relieve ringing in the ears (tinnitus) and dizziness. 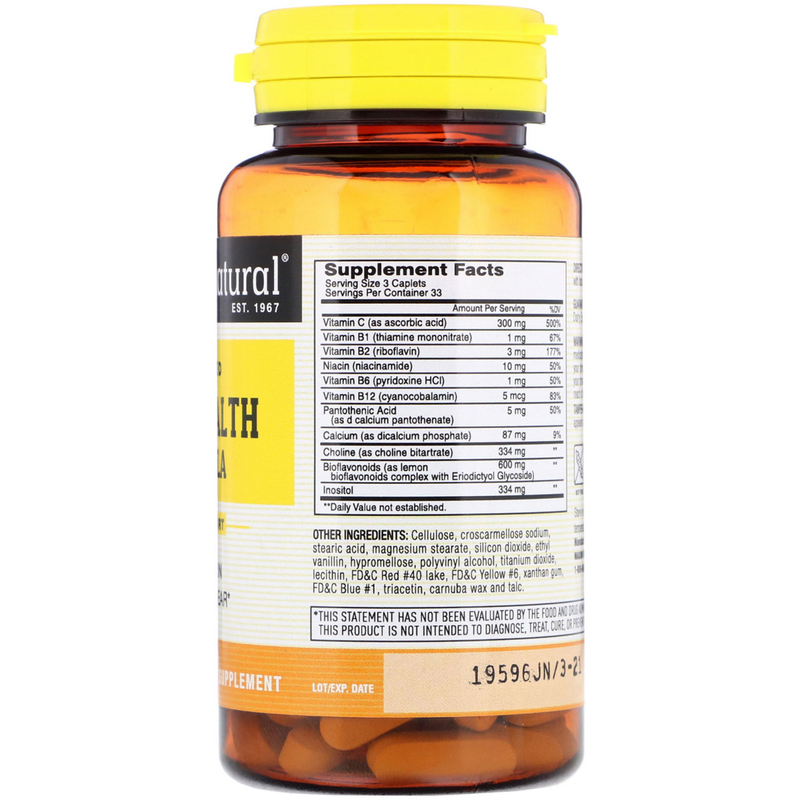 As a dietary supplement, take one caplet 3 times daily, preferably after a meal, or as recommended by your health care professional. For faster results, take 2 caplets three times a day. For best results, use for at least six months. Cellulose, croscarmellose sodium, stearic acid, magnesium stearate, silicon dioxide, ethyl vanillin, hypromellose, polyvinyl alcohol, titanium dioxide, lecithin, FD&C Red #40 lake, FD&C Yellow #6, xanthan gum, FD&C Blue #1, triacetin, carnuba wax and talc. Allergen Certification: May contain soy, corn, wheat, gluten and peanuts. Guaranteed No Added: Sugar, starch, yeast, dairy, egg, fragrance or artificial flavors. Tamper-evident Seal - Do not use product if seal appears tampered. If you are pregnant, nursing, taking any medications or planning any medical procedure, consult your physician before use. Discontinue use and consult your physician if any adverse reactions occur. Keep out of reach of children. Store in a dry place under controlled room temperature: 20°C-25°C (68°-77°F).